QuietCool whole house fans are capable of reducing A/C usage in the summer by up to 60-90% based on CEC and PG&E studies. Operating at efficiencies 10 times better than traditional HVAC systems, QuietCool whole house fans are able to nearly eliminate A/C usage, resulting in massive reduction of AC usage, freon consumption, total grid kWh consumption, and overall carbon footprint of thousands of homes throughout the United States. QuietCool whole house fans offer unmatched indoor air quality by providing the homeowners massive air exchanges able to change all the air in a home within 5 minutes at the touch of a button, with fresh clean outside air not tainted by indoor cooking, toxic residential chemicals, and airborne viruses. 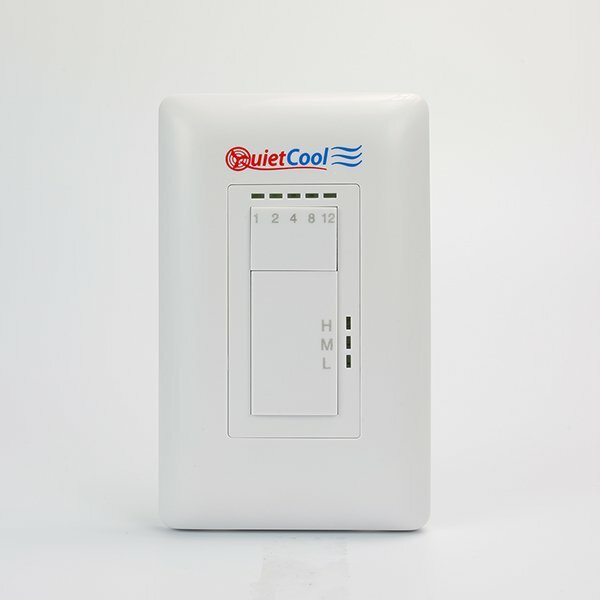 Now featuring wifi app enabled controls, and optional RF radio wireless switches, QuietCool systems are the first major appliance in the homes without any switches required on the walls. We will also be featuring an RF bridge capable of connecting our QuietCool line of products to all major smart home systems. QuietCool systems also operate 5 times more efficient than any other competitors, while remaining the lowest cost solution for builders. 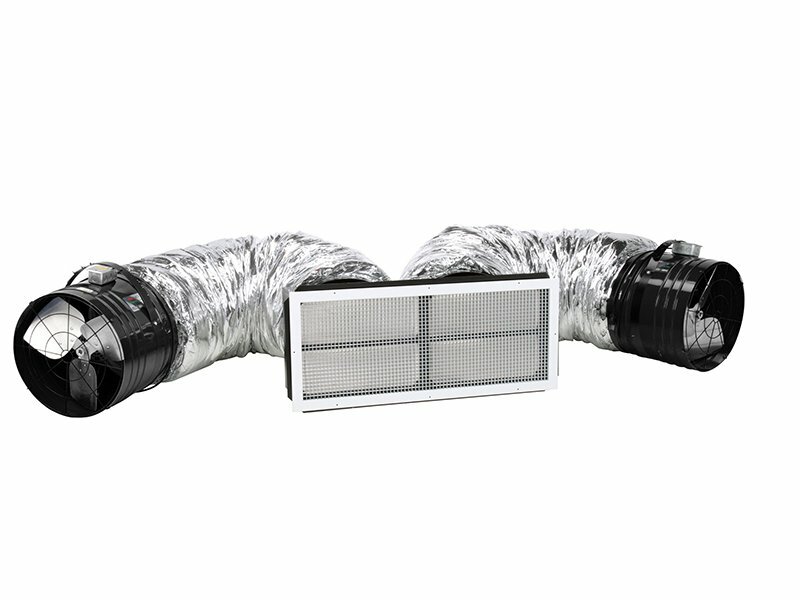 QuietCool whole house fans offer unmatched T24 part 6 energy compliance points by providing 15-35% in climate zones 8 through 14. 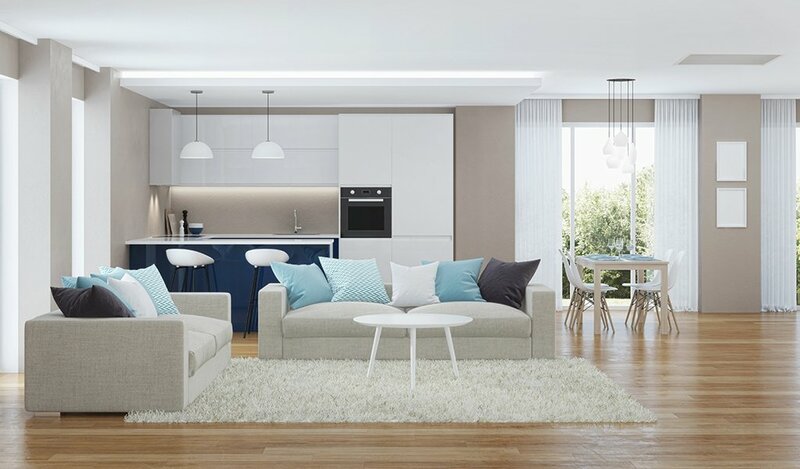 Builders will find that adding QuietCool whole house fans to their suite of home features will yield not only lower production costs overall compared to other items in the home, but state and local rebates provide huge additional monies for installing QuietCool whole house fan systems. 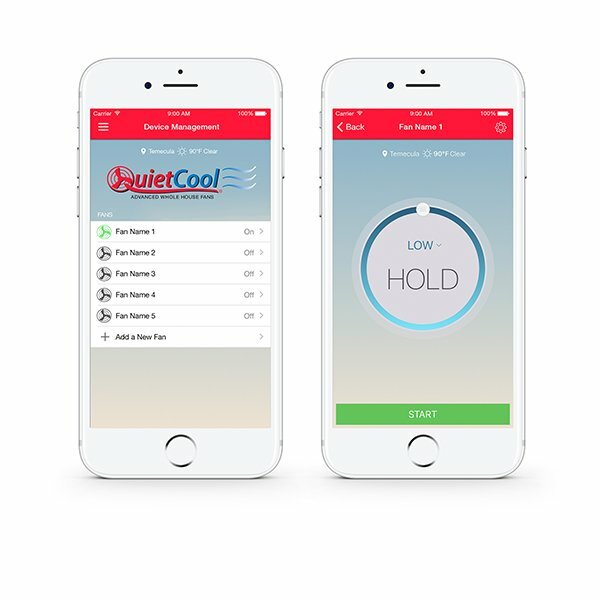 In addition, QuietCool whole house fans are not hidden in the walls or attic, they are a new appliance that allows homeowners to gain a new level of environmental control in their homes, which brings huge satisfaction from owning a home with a QuietCool system. In short, they are a brand new selling feature for the homes. Homeowners will see the reduction of AC usage by up to 60-90 percent when QuietCool systems are used in lieu of traditional AC systems. They will also have the ability to flush their home with fresh air immediately cooling the home to any given comfort level with free outside, cool air. The homeowners will also benefit with unmatched indoor air quality, improved health, and a lifestyle change, allowing them to enjoy opening their windows again.